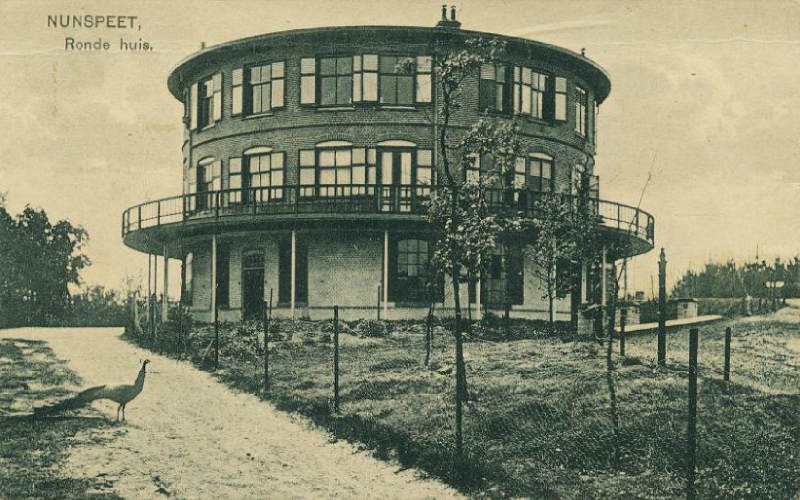 The round house in Granbury, Texas, must have been something to see in its day. Built and designed in 1905 by local banker John E. Brown, it was a mansion with 14 rooms, including a hexagonal grand hall that measured 32 feet across. Each room was finished with a different kind of imported wood, with oak in the dining room, and bird’s eye maple elsewhere. The music room had a concert-size grand piano that had been brought from New York to New Orleans by boat, then overland to Granbury via a wagon pulled by mules. Unfortunately after WWII the house fell into disrepair. It was occasionally rented by churches because of its large meeting hall, but often left vacant. It was torn down in the 1960s by a builder who bought it in order to scavenge its materials. Do you pay rent for this tower? Twelve quid, Buck Mulligan said. … Rather bleak in wintertime, I should say. Martello you call it? Billy Pitt had them built, Buck Mulligan said, when the French were on the sea. But ours is the omphalos. James Joyce spent six days staying with a couple of friends in a Martello tower in Sandy Cove, Dublin, in 1904, and later set the first chapter of his novel Ulysses there. Built during the Napoleonic era as a defensive position against a feared French invasion, the tower is one of a string of Martello towers in England, Ireland, and Wales. 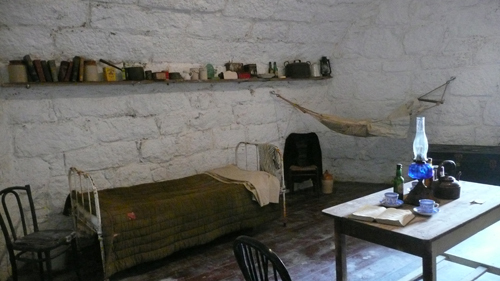 Now known as the James Joyce Tower, it has been made into a museum, and furnished as it was during Joyce’s time there. For Joyce devotees who make the pilgrimage to visit it, the tower may indeed be an omphalos, a sacred conical object. 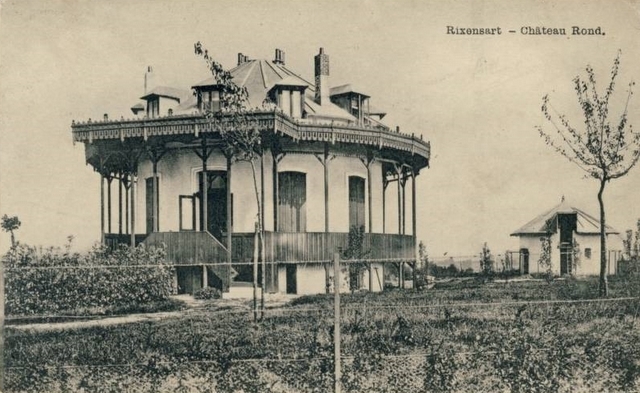 Built sometime around 1904, torn down in 1967, the Round House (Ronde Huis) of Nunspeet, in the Netherlands, is a source of mystery. A recent book about the house mixes prostitutes, occult rituals, Germanic symbols, wealthy industrialists and royalty. Nearly a half-century after its demolition, the house now has its own Twitter account, one that is no doubt quite interesting if you understand Dutch. 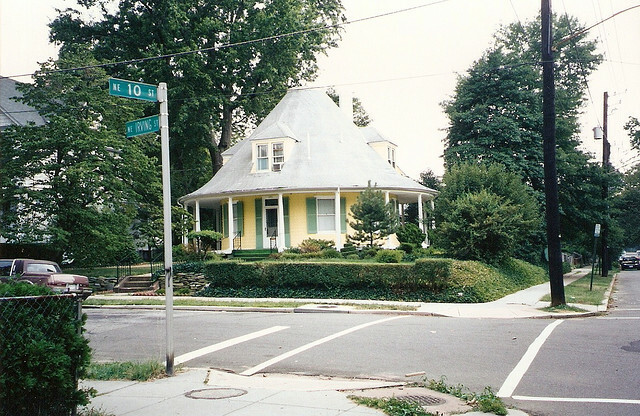 $899,000 will buy you a 110-year-old round house in the Brookland neighborhood of Washington, DC. It is a quirky and charming structure even though, as part of an unfortunate recent renovation, it was stripped of its spiral staircase and marred by a clunky addition. 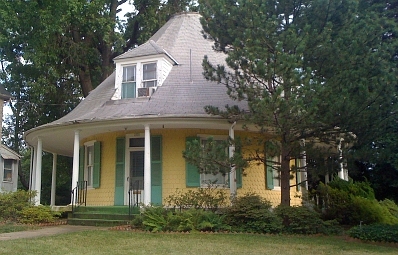 Built in 1901, the house was put on the market in 2010 when its long-term owner died. Its condition at that time was said to be poor; it was also tiny by 21st century standards. After changing hands a couple of times, the house was bought by developer Martin Ditto of Ditto Residential, who undertook the recent renovations. Last January, the house was said to be under consideration for protection as a historic landmark, but the D.C. Preservation League, which was submitting the landmark application, negotiated with the developer regarding the scope of the planned renovations, agreeing not submit an application until renovations were complete. The League apparently pressed the developer to limit the size of the addition so that it would not dwarf the existing structure. This very unusual house has since been torn down, unfortunately.